Korea Mid to late 1987? I can tell you very little about this model as it was not one of the SLM products but from what I’ve seen, it is a “true” Westone and was likely commissioned by Akira Takei, the Matsumoku/Westone Operations Manager and manufactured at Saehan in Korea. 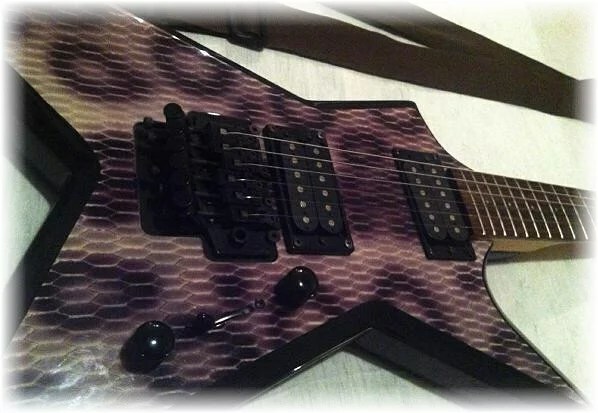 This was not a transitional instrument in the true sense as it is using a Korean made neck with “contracted” hardware. 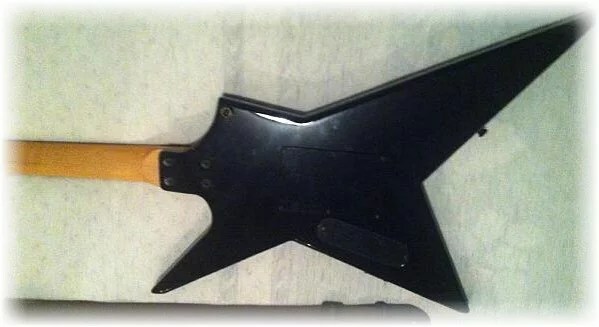 The first Westone production year following Matsumoku’s demise, used mostly Matsumoku made components (necks especially) and much of the same hardware used on the Matsumoku made Westone models. I imagine that this instrument was distributed by our Canadian agent. 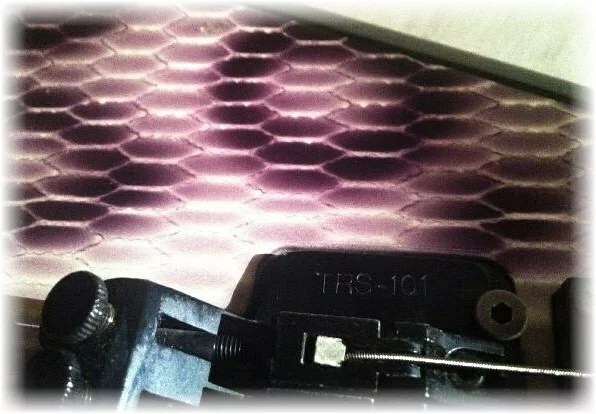 The finish is likely original as I’ve seen many of these on various bodies at Saehan during my many trips. According to the current owner, the Westone ‘star’ shapes (Dimension models) are more ‘pointy’ with more defined beveled edges. 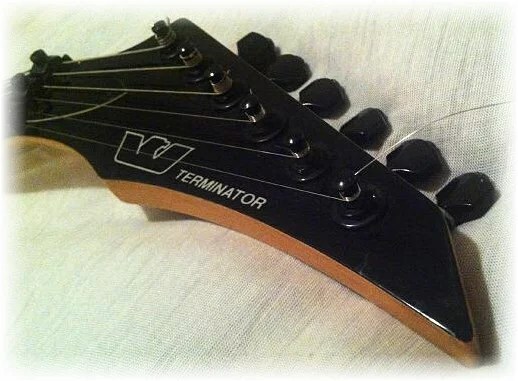 The ‘Terminator’ also has different controls + different headstock.